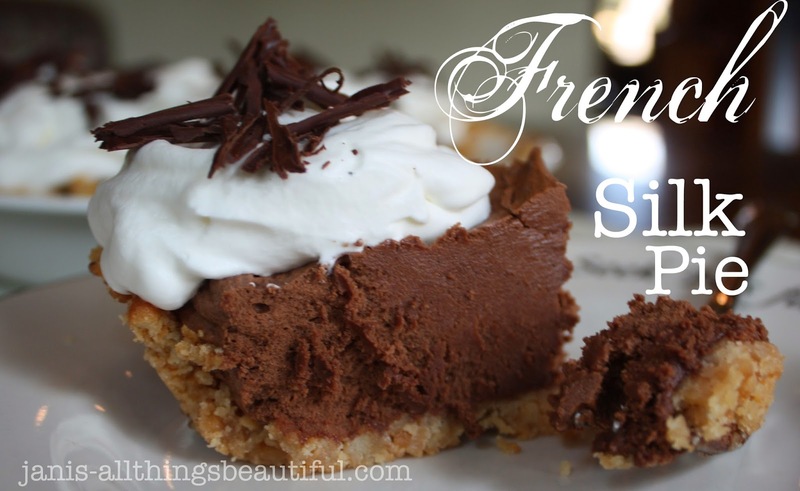 First up is my French Silk Pie and it is luscious! which I think is the ultimate touch of "salty"
to this rich truffle-like filling. make it Valentine treat worthy! 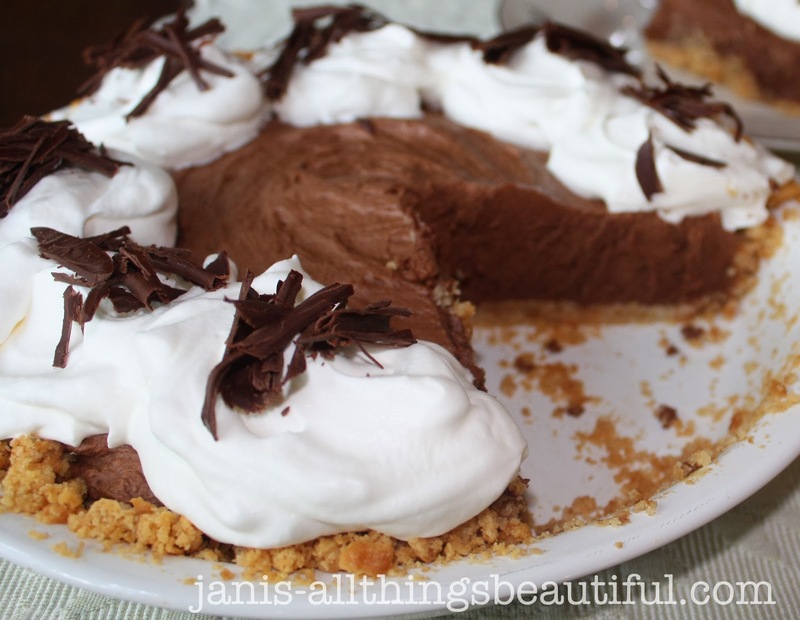 If you like warm chocolate goodness, then this pie is for you! and was inspired by the movie "The Help"! There are no mysterious ingredients, either, so you are safe! 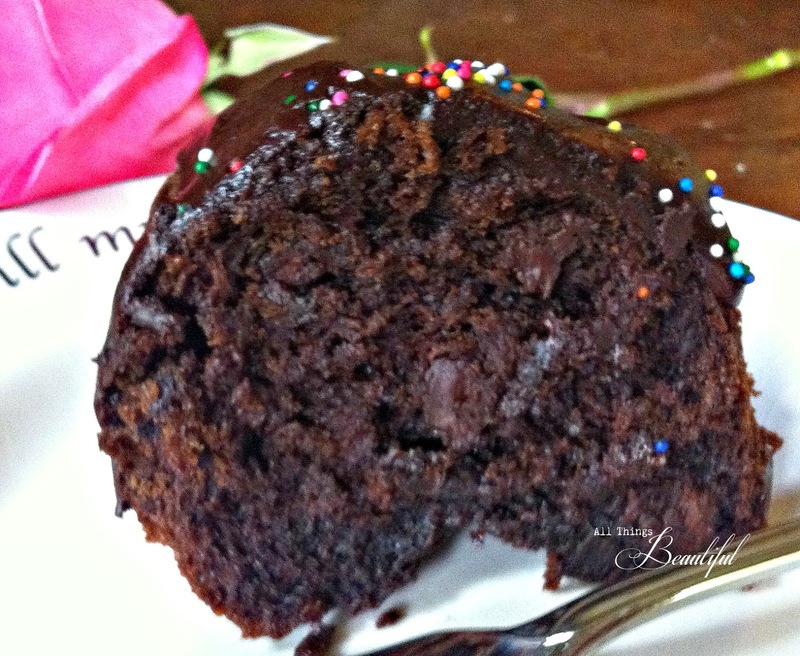 that is rich, moist, and very chocolatey! 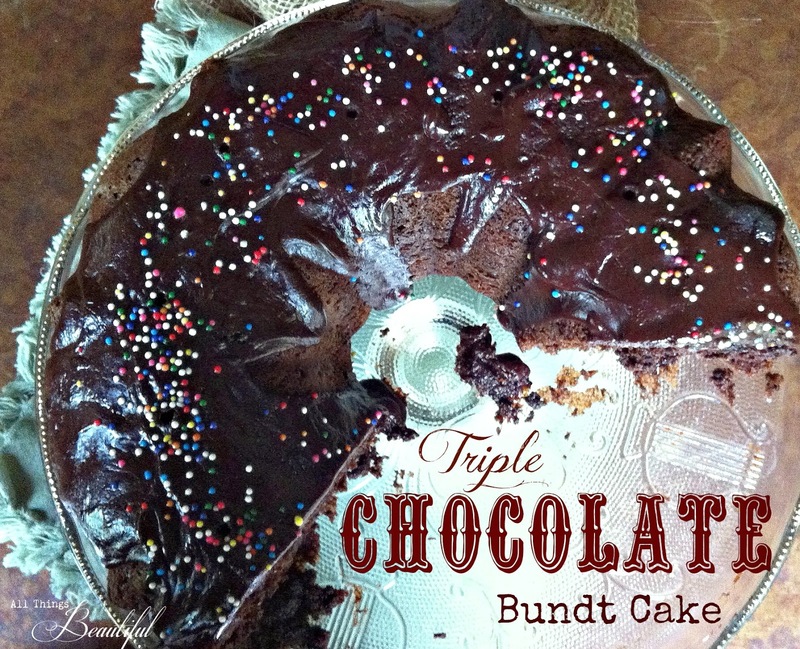 It's a Triple Chocolate Bundt Cake. Can you see the chocolate chunks in there? Oh MY! Lastly, here is the easiest taste of chocolate to whip up in minutes. 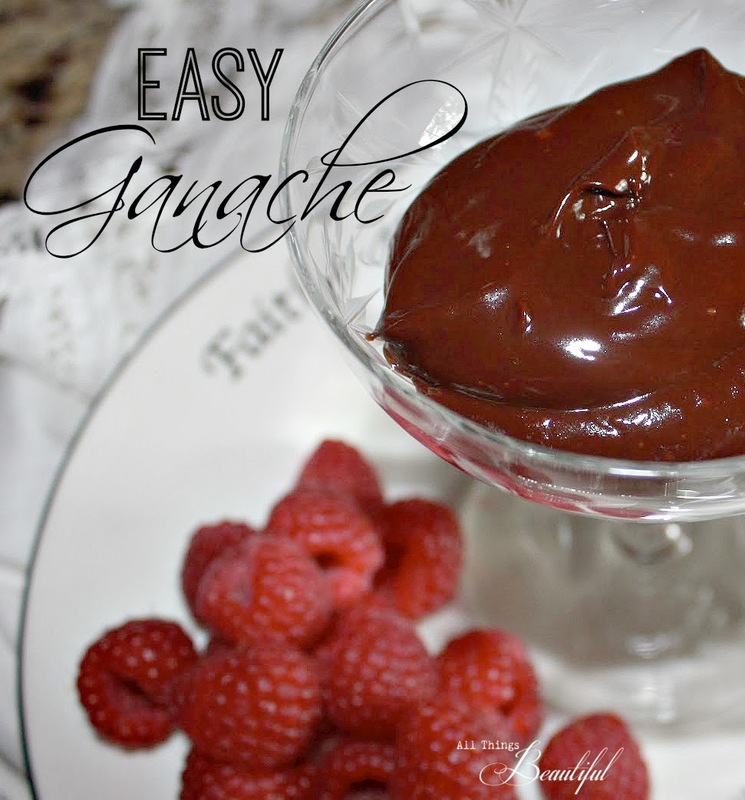 It's my Oh My Gosh, Ganache! 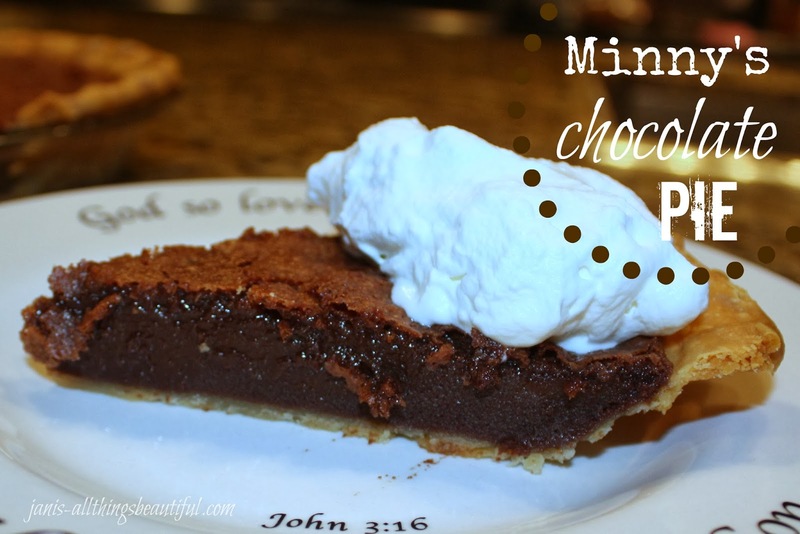 If you're not a chocolate fan, then you can check out some of my other desserts by clicking here. 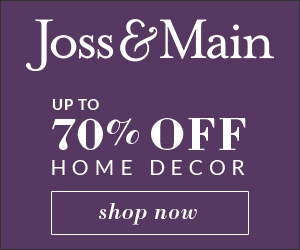 something special for those sweethearts in your life! Oh my, where is my resolve to abstain from sweets? 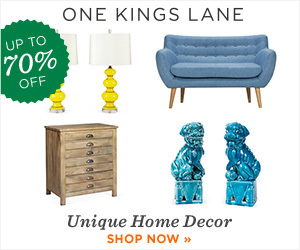 The first mistake was opening your blog after reading the title. I agree with you ~ Valentine's just screams chocolate! 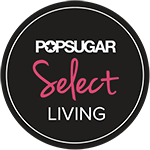 These recipes look divine. Oh, gosh, Janis, I can feel my hips spreading just from reading this...lol! These are perfect treats for Valentine's Day! I will have to tuck these away in my recipe file for other special occasions. That silk pie looks so good. I'm still wearing my Christmas goodies. Damn! Be still my heart! Is it bad I want them all for breakfast? Thanks for sharing. 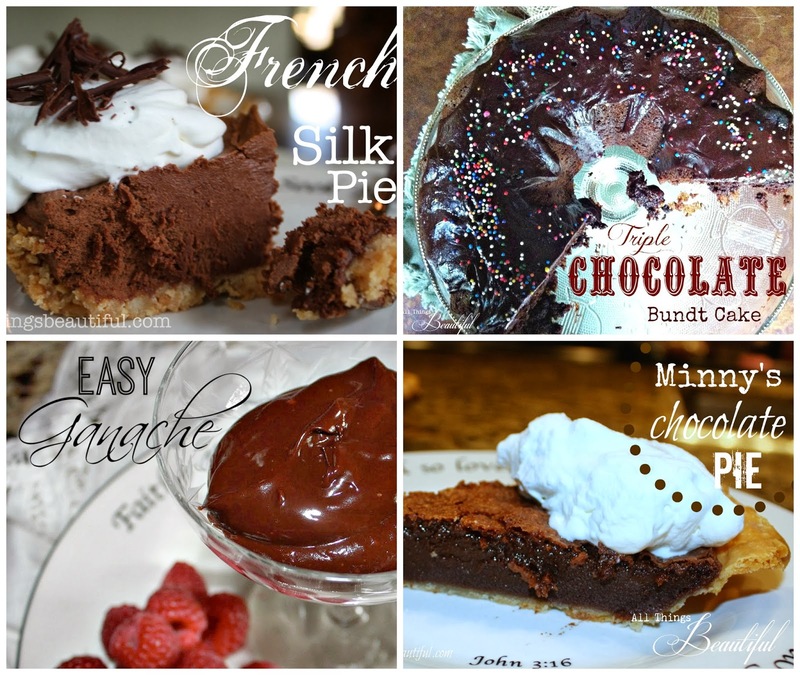 I think I will make the French Silk Pie for Valentine's Day! Have a great week!